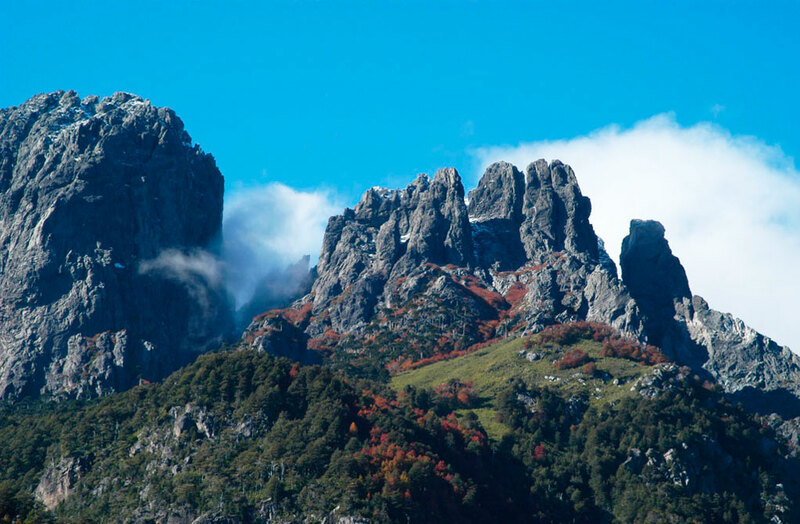 Las Peinetas (“the combs”) is a granite massif surrounded by beautiful, pristine Araucaria trees that offer adventure seekers the opportunity of an alpine style climb in a remote area located right on the border between Chile and Argentina and only 70kms from Pucon. 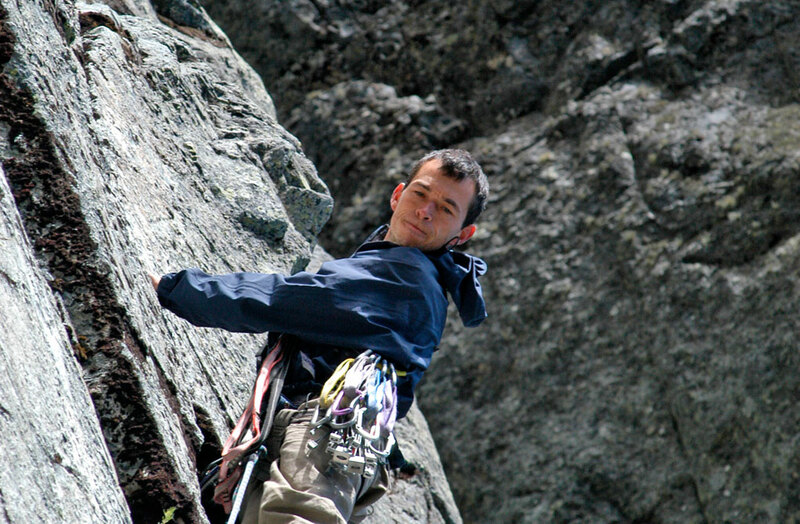 This alpine style climb is physically demanding and recommended for people in good shape with previous experience or for those that would like to try out their first alpine climb. 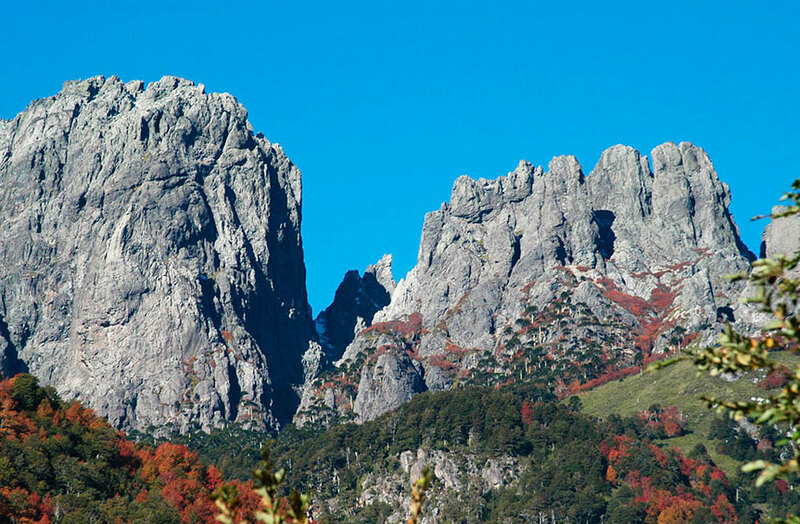 This granite mass has multiple summits, an altitude of 2000 m above sea level and has a 400 meter face. There are two different routes and your guide will decide which of the two is more apt for your level. Among the expectations for completing this high performance activity are 6 hours of trekking (3 hours up and 3 hours down approx.) and 10 hours of 5.8 climbing, 6 pitches. There is a certain amount of “bushwhacking” in this remote area which adds to the appeal of the classic alpine climb. During the trek, you can take in the magical forest characteristic of the ninth region and at the same time have a panoramic view of both the Chilean and Argentine sides of the Andes mountain range, crowned with such peaks as Lanin, Devil’s Tooth, Llaima, Villarrica as well as Tromen Lake. Some of the wildlife you will be privileged to see are condor or fox however the area houses many species of animal. There also exists the possibility of doing this climb in two days by camping out overnight and spreading out the trekking a little bit. 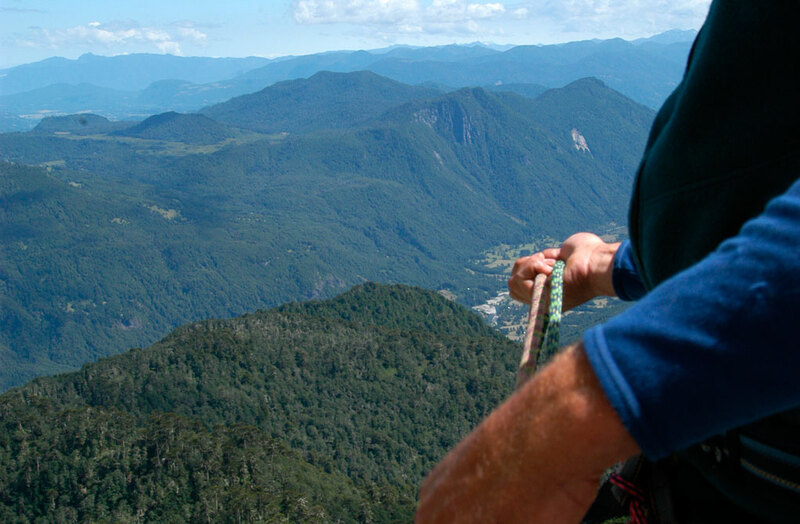 * It is important to note that those who would like to participate in their first alpine style climb will be required to have a previous training/climbing half day activity at Cerduo near Pucon. Duration: around 18 hours or 2 days, depending your option. Level of difficulty: From intermediate to expert and beginners with a previous climbing day at Cerduo and the approval of the guide (needed previous experience in rock climbing and trekking). For: People looking for a true alpine experience in a very new and pristine area. Requires a good physical condition and a positive mental attitude as well as resilience. Season: Spring, summer, fall and winter (weather dependent on local conditions). This excursion includes: Transportation, Technical Equipment & Professional Bilingual UIAGM Guide. What to bring: Parka, comfortable climbing pants, wind pants, fleece jacket, 35 liter pack, water bottle, food for the trip (high energy snacks, fruit & sandwiches), sunblock, trekking shoes, headlamp, sunglasses, hat & gloves.